Posted by Sam Smith on Sunday, August 7th, 2011 at 8:15pm. Let's face it, buying a home in Newport Beach, Ca is expensive. Today's home buyers are looking for the very best deals and want the best location for the best price when looking for a home. 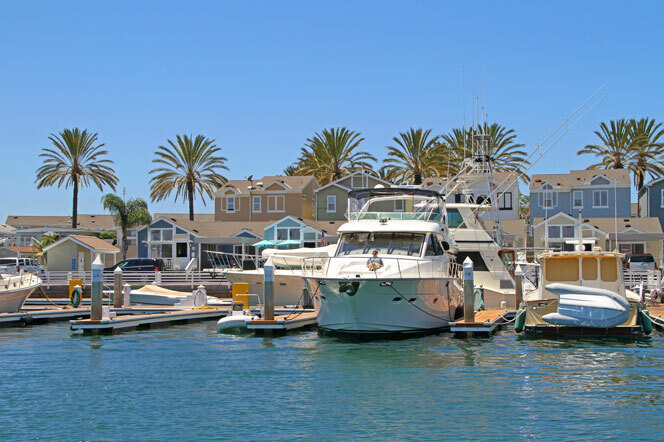 The Lido area of Newport Beach is well known for it's upscale bayfront homes and condos and is a popular destination for tourists and locals alike. One the most affordable ways to live in this bayfront community is the Lido Peninsula community. Lido Peninsula is a collection of Cape Cod manufactured homes that occupy the upscale Lido Island with homes listed for sale in Newport Beach under $400,000. Keep in mind that there is a monthly lease on land for these waterfront community homes. For example, a newly listed Lido Peninsula home has come on the market that has a monthly lease on land of $2,100 a month. One of the good things about the lease land fee is that it covers all the amenities that the Lido Peninsula area has to offer and there are no homeowners association dues and very low taxes due to the manufactured home tax structure. If you are looking for a home under $400,000 then you may want to consider the Lido Peninsula area. For more information on Newport Beach Real Estate please contact us today at 949-444-1901.